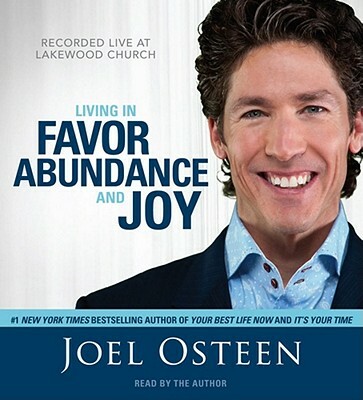 Following the blockbuster success of the audio original Good, Better, Blessed, the retail market gets yet another taste of Joel's incomparable live persona with this second collection of sermons. This collection of ten complete sermons (or 'messages,' as they're known to Lakewood members and viewers) from Joel's broadcasts offers traditional audio and book customers a chance to experience Joel in his original element, as he moves and inspires the huge crowds who come or tune in to hear him preach each Sunday. Joel's second sermon collection features his distinct and effective mix of spiritual perspectives on practical, real-world, challenges. Demonstrating once more why he has transcended the traditional Christian market with his approach to timeless self-help topics.Destined to appeal both to readers who have already read his books but are eager for new material and insights, and members of his tv and radio audiences who know him only for his broadcasts and have never read or heard his books, as well as the general self-help listener who appreciates a dynamic speaker offering useful advice, this collection of sermons offers the winning combination of encouragement, reassurance, motivation and inspiration that have led millions of listeners to regard Joel Osteen as America's Pastor. Living in Favor, Abundance and Joy by Joel Osteen was published by Simon & Schuster in March 2010 and is our 39870th best seller. The ISBN for Living in Favor, Abundance and Joy is 9781442305069. Be the first to review Living in Favor, Abundance and Joy! Got a question? No problem! Just click here to ask us about Living in Favor, Abundance and Joy.